Go to Dr. Baram’s personal homepage. Uzi Baram is an anthropologist who teaches a wide range of archaeology and cultural anthropology courses. 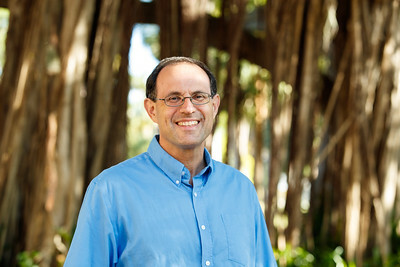 As a New College professor, Professor Baram has moved his principle area of research from the eastern Mediterranean to the west coast of Florida. In the eastern Mediterranean he has studied the material culture, cultural landscapes, Western travel accounts, and social identities of the Ottoman Empire. Current research on the Middle East examines the intersection of archaeology and heritage tourism. As a faculty member at New College, Professor Baram has created local programs in archaeology and heritage studies. For example, the public anthropology program Looking for Angola employs the dual lens of archaeology and ethnography to reveal a `history from below’ for an early nineteenth century maroon community in the context of the anthropological critiques of racism and the histories of southwestern Florida. As the founding director of the New College Public Archaeology Lab, Professor Baram has trained students in historic preservation, public outreach, and anthropological studies of the recent past. Professor Baram has edited and contributed to A Historical Archaeology of the Ottoman Empire: Breaking New Ground (2000), Marketing Heritage: Archaeology and the Consumption of the Past (2004), and Between Art and Artifact: Approaches to Visual Representation in Historical Archaeology (2007) as well as many journal articles and research reports on historical archaeology, heritage, and the politics of the past. 2018 Value and Values in Heritage Tourism from the Grand Tour to the Experience Economy. In Relevance and Application of Cultural Heritage in Contemporary Society, edited by in Pei-Lin Yu, Chen Shen, George S. Smith, page 66-78. Routledge, New York. 2018 “Marketing Heritage.” In Encyclopedia of Global Archaeology: Living Edition, edited by Claire Smith, Springer. 2015 “Including Maroon History on the Florida Gulf Coast: Archaeology and the Struggle for Freedom on the Early 19th-Century Manatee River” In The Limits of Tyranny: Archaeological Perspectives on the Struggle against New World Slavery, edited by James A. Delle, pages 213-240. The University of Tennessee Press, Knoxville.